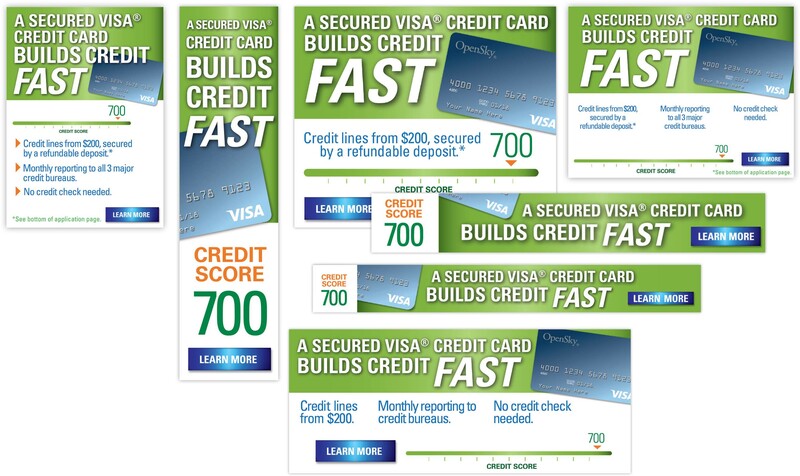 Open Sky’s secured Visa card helps people establish credit fast. That emphasis on FAST was built into rich media animated ads for desktop and mobile platforms targeting appropriate consumers. Information was revealed in easy-to-absorbed timeframes as credit score numbers and scales rose for effect. Different ads were developed for A/B testing of communications methods and the third wave of the campaign implemented changes from testing results for a successful outcome. Media: Animated rich media ads. Services: Creative development and production.